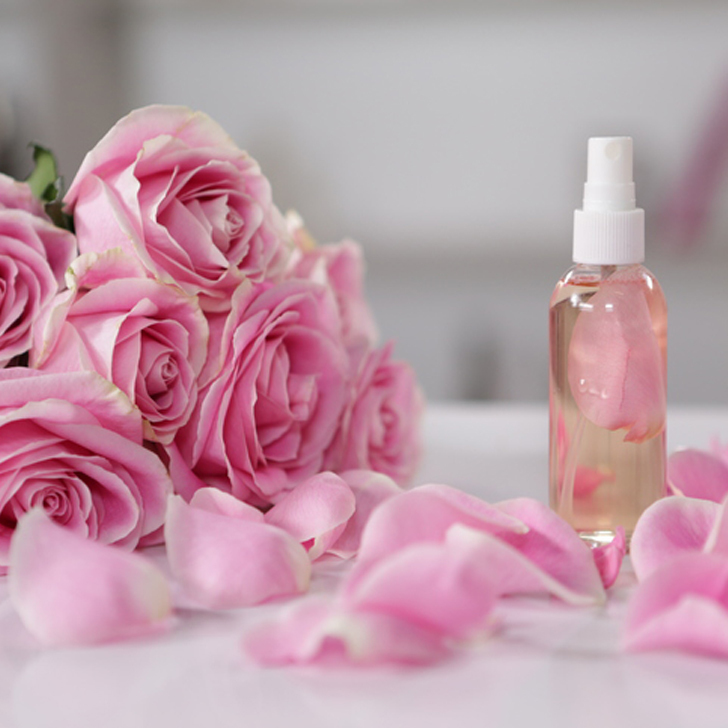 Using a facial spray is an important step in any skin care routine. It helps soothe skin, balance ph levels and prepare skin for moisturizers and other products. Because what we put on our skin is just as important as what we eat, I have a great all natural facial spray for you ladies out there. I come from a Lebanese background and rose water is essential in practically every household. Lebanese women have been using it in their beauty routine for ages. Since I was a kid, I remember my mom always having a bottle of rose water sitting on her vanity, always within hand reach. She passed it on to me and now I’m paying it forward! Rose water, has a very calming effect. Not only it refreshes the skin but it also has soothing properties. And when used regularly it will boost your skin’s hydration and radiance too. So toss away your chemically induced facial spray, and switch to an all natural one. Your skin will thank you down the road! 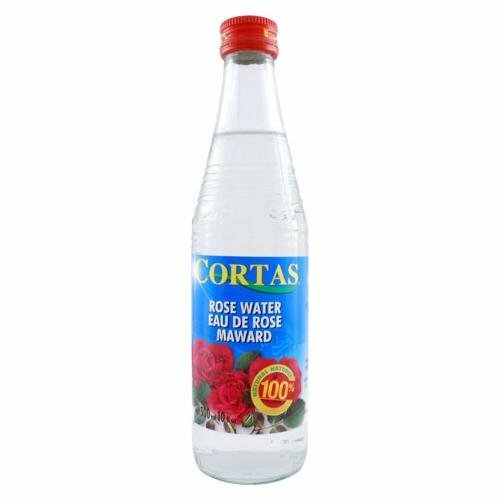 You can get any pure rose water bottle from your local groceries store or on Amazon (It’s under $10 dollars and it will last a long time). Or just make it yourself! Just check out this recipe from PopSugar. Use it just as you do your facial spray, after washing your face or even on top of makeup. 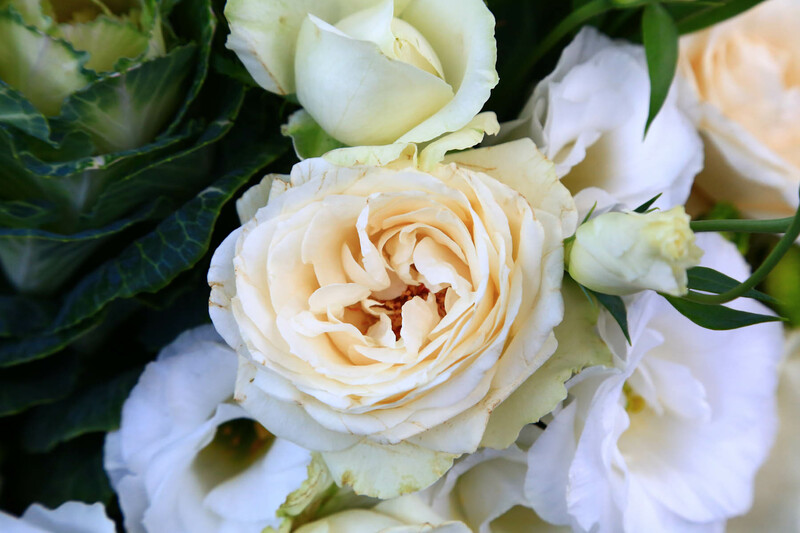 And if your eyes feel swollen in the morning, soak a cotton pad with some rose water and let it rest on your eyes for 5 – 10 minutes. It can help reduce puffiness! Another trick is to fill a small spray bottle and keep it in your handbag. And whenever you feel like you need to refresh your skin just spray it all over. It will refresh you in seconds and the smell is just amazing. I have been using rose water for so long now, and the results are incredible. Give it a try and let me know what you think! That’s great to hear! I’ll be checking your blog soon. You’re more than welcome! Using natural products makes the skin much healthier than using chemicals. I’ll keep an eye for this rose water next time I’ll go grocery shopping,xoxo Bing. Great! Let me know how that goes. Mine too! it’s so fresh and feminine.